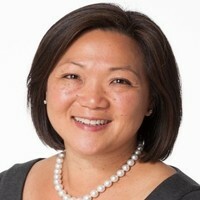 EDINA, MN - Volunteers of America MN and WI, one of the region’s largest health and human services nonprofits, announces that Fei Wong McKhann recently joined them in a new role as Volunteers of America MN and WI Director of Performance Excellence. Performance excellence is a holistic approach through which organizations ensure that their programs are aligned with their mission; services are producing benefits for the community; and stakeholders understand the reason for their existence. Ms. McKhann discusses her work not so much in numbers and graphs but in meaning. “The whole concept of Performance Excellence is about measuring the things that we say really matter to us. It’s more than simply efficiency. It’s upholding what we value as an organization,” she notes. The Director of Performance Excellence reports to Chief Operating Officer Anna Petersmeyer and is a member of the VOA MN and WI Senior Leadership Team. McKhann has more than 20 years of consulting and other relevant experience that includes Target Corporation, the Boston Consulting Group and Sheltering Arms Foundation. She holds an MBA in Business Administration from Stanford University in California where she also obtained her undergraduate education.